Kingsley Brown was born in Turton, Lancashire in 1895. He was the son of James and Elizabeth Brown, who had lived at 791 Chorley Old Road, Bolton before the family moved to Altrincham, Cheshire. He had one brother, William Isherwood Brown and a step-sister, Elizabeth Watson Brown. His father, James Brown, was a draper’s manager and later kept his own draper’s shop and became a Councillor in Altrincham. Kingsley’s name does not appear on the School Admissions Registers owing to the apparent lack of a systematic listing between 1902 and 1908. It is known initially from the list of “Old Boys With The Colours” in the Bolton Journal and Guardian on 24 December 1914. He probably started at Bolton Church Institute in 1906 as a scholarship boy from Smithills Jubilee School and later attended the Bradbury High School, Altrincham. He appears on the 1911 Census, aged 16, as a shipper’s apprentice. Employed by the firm of John Walkden & Co. Shippers of Lagos, West Africa and Manchester. He attended St. George's Church, Altrincham. Kingsley enlisted in the 20th (Public Schools) Battalion of the Royal Fusiliers in August 1914, trained at Epsom, Mansfield & Salisbury Plain. He was drafted to the front in November 1915 in the Manchester Section of the Public Schools & Universities Battalion. He arrived in France on 14 November 1915. Kingsley died on the same day - 20 July 1916 - and probably in the same action as Norman Howard, who was in the same battalion. The 20th Royal Fusiliers were involved in the attack on High Wood on 20th July 1916, part of the Battle of the Somme, which lasted from 1st July to 18th November. The Thiepval Memorial, the Memorial to the Missing of the Somme, bears the names of more than 72,000 officers and men of the United Kingdom and South African forces. He was killed a short distance from where his brother, William Isherwood Brown, had also been killed in action on 3 March 1916 while serving with the 16th Battalion, Manchester Regiment. The family had lost both sons within four months. Their names appear together on Altrincham War Memorial. His death was reported in the Altrincham Guardian on 1 August 1916. Listed in the Guardian Year Book - Roll of Honour for 1917 and commemorated in the Altrincham & District Roll of Honour and the Timperley Sports Club Memorial. The letter from him to his father Cllr. James Brown, stated that he was at Epsom and that there were 240 men plus officers based there. Their day started out with Reveille at 05.45 hrs so that the men can meet up on the village green at 06.30 hrs. After an hour of Swedish Drill in either the fields or on the roads, they return to their billets for breakfast and parade at 10.00 hrs. The mornings were spent marching through lovely scenery to Woodcote Park about 2 miles away. After an hour's platoon drill, they marched in 4s back to Epsom. In the afternoon they stayed in the parade ground for company drill and finally assembled at between 16.00 hrs to 17.00 hrs and dismissed for the day. Lights out was 20.00 hrs and they were not permitted to travel beyond five miles from the Camp, with certain buildings, etc being out of bounds. Brown – Killed in action on July 20th 1916, Kingsley (Public Schools Battalion, Royal Fusiliers), in his 22nd year, the youngest and only surviving son of James and Elizabeth Brown, 45, George-st., Altrincham and late of Smithills. The only intimation. News has reached Mr. and Mrs. Bostock of Bolton-rd., Edgworth, that their nephew, Pte. Kingsley Brown, Royal Fusiliers, fell in action on July 20th. Pte. Brown, who was 21 years old, was the second and only surviving son of Mr. and Mrs. Brown, of Altrincham, and formerly of Belle Vue, Turton. 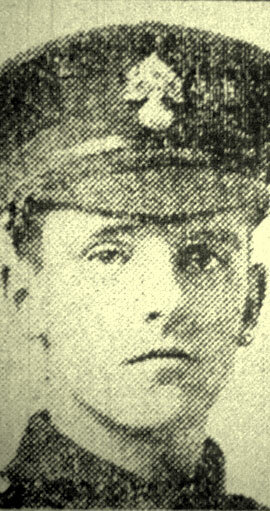 His brother, Corporal William Isherwood Brown, of the Manchester (Pals) Regiment, was killed on March 3rd. The brothers enlisted together at the outbreak of war. 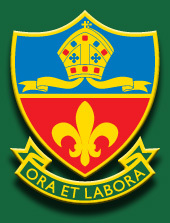 Mrs. Brown was long connected with Turton schools, where she was mistress for many years. Pte. Brown attended Smithills Jubilee School, and afterwards, by scholarship, the Bolton Church Institute. He was employed by Messrs. Walkden, shippers, of Manchester.